EDINBURG — On the eve of his team’s season opener, new UTRGV baseball coach Derek Matlock lamented that his outfield situation was “sad.” Not due to a lack of talent, but because he had five deserving starters and only three available spots. When the time came to set the lineup, Matlock went with junior college transfer Aaron Dees, who had shown the most power during preseason practice. After Dees rewarded Matlock’s trust with a 3-for-4 night, second option Elijah Alexander came on as a defensive replacement and provided some critical offense of his own. Alexander singled to center in his only at-bat, driving home Austin Siener to lift UTRGV to a walk-off 7-6 win against Central Michigan in 10 innings on Friday at UTRGV Baseball Stadium. A sophomore and JUCO transfer from Ventura (California) College, Alexander hit .350 with eight doubles, two home runs and 16 RBIs last season. He entered Friday’s game to start the ninth inning, replacing Dees in left field. Dees finished the night with a homer, two RBIs and two runs scored. He begins his first season at UTRGV after two years at Neosho County College in Chanute, Kansas, where last season he was a first team all-region and all-conference selection after hitting .342 with 16 home runs and 69 RBIs. Dees was one of two newcomers in the UTRGV starting lineup on Friday, with fellow JUCO transfer and center fielder Coleman Grubbs posting a 2-for-4 night with a triple, a walk and an RBI from the leadoff position. Around Dees and Grubbs, UTRGV received solid contributions from many of the seven starting returners from last year’s team. Siener hit a two-run homer and walked twice, Tyler Torres had an RBI double as one of his two hits, and Ivan Estrella and Noah Lee also had hits. UTRGV’s starting pitcher, Carter Johnson, was reprising his role as last season’s Friday night starter. He left after five innings, allowing three runs, all earned, on four hits and three walks against six strikeouts. Johnson was erratic at times with a pair of wild pitches and finished the night having thrown 50 of his 85 pitches for strikes. Matlock said coming into the weekend that expanding pitch counts was a major component of the nonconference season, adding that no starter should be expected to throw more than 90 pitches. Johnson gave way to another returner, Luis Acosta, who allowed just one unearned run and stuck out seven batters in his first three innings of relief before running into trouble in the ninth. With UTRGV leading 6-4, Acosta missed on six straight pitches to open the frame, eventually giving up a pair of ground-ball singles to load the bases with one out. Acosta was pulled in favor of Ryan Jackson, a McAllen Rowe graduate who was making his return to the Vaqueros after playing in 2015 and 2016 but sitting out last season. Jackson retired the first batter he faced before giving up a bloop single to right field to score a pair and tie the game at six. 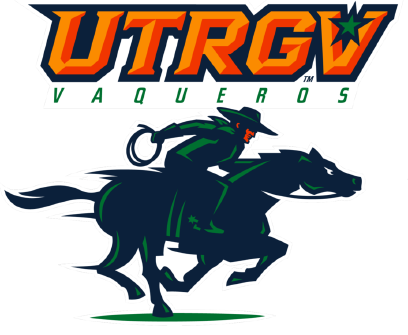 UTRGV was held scoreless in the ninth but found a breakthrough in the 10th. After Siener walked with one out, Torres singled with two outs to move him to third. That set the table for Alexander, who smacked the game-winning hit on a 3-1 count. UTRGV had built a lead as large as 6-3 in the middle innings, scoring one in the third, two in the fourth, two in the fifth and one in the sixth after Central Michigan jumped out to a 2-0 lead. The Chippewas also notched a run in the fifth and began their effort at a comeback in the eighth with the unearned run against Acosta.